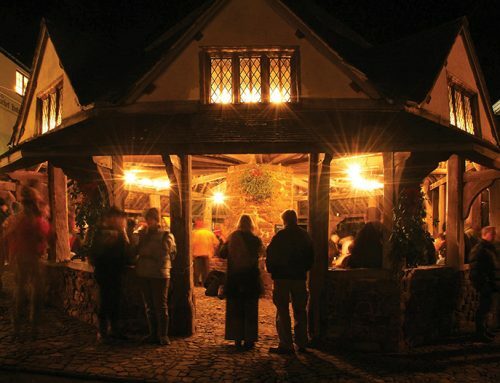 An article published by Timeout Magazine this week placed Exmoor at the top of the list of the best places to visit in 2019. 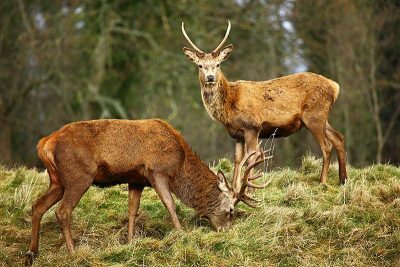 To follow this theme, this week’s blog post is full of interesting facts about Exmoor and how it is different to other places in the UK. 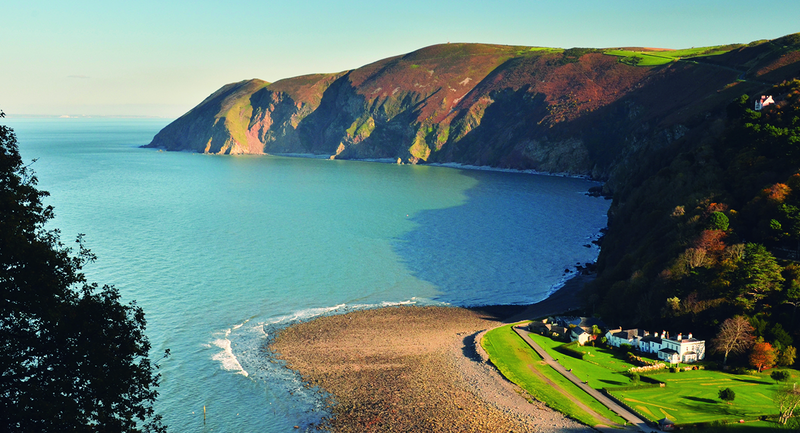 Exmoor is reportedly one of the earth’s oldest features, dating back 200 million years. 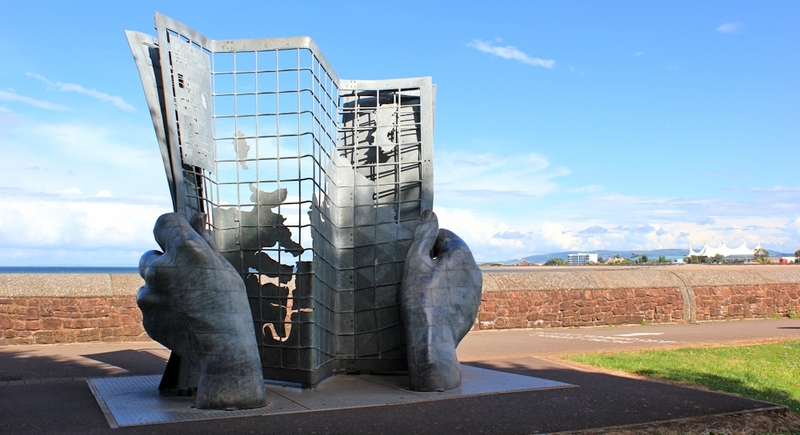 The moor itself is named after its main river, the River Exe. The moorland is dissected by combes or steep wooded valleys which have been formed by fast-running streams. 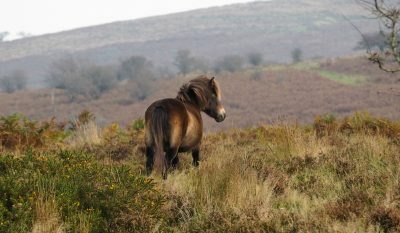 Exmoor is the home of the extremely rare Exmoor pony, with numbers lower than many endangered species in the UK. The Exmoor Pony is mentioned in the Domesday Book of 1086, supporting the belief that it is a truly British breed. As well as a number of animals native to Exmoor, the national park is also home to over a thousand different flowering plants and grasses. Exmoor has an incredibly low population, with the largest settlements within the boundaries being Lynton and Lynmouth (pop. 1513) and Dunster (pop. 854). 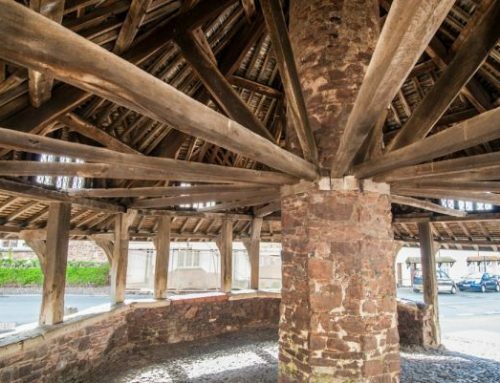 There are 162 Scheduled Monuments and more than 1,000 building of Special Architectural or Historic Interest (listed buildings) on Exmoor. 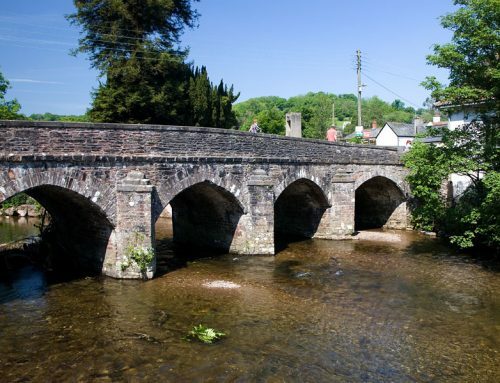 Monuments include prehistoric remains such as standing stones, stone circles, barrows, forts and packhorse bridges. There are numerous fast flowing meandering rivers and charming villages within the National Park. 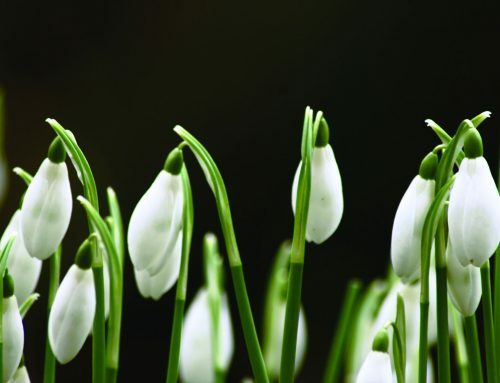 Exmoor is an unusually high area for southern Britain, supporting both arctic and mountain varieties of plants and animals usually found further north and many less hardy species. In all, it is a naturalist’s paradise. Around half of the population of Exmoor live in towns and villages and the other half in scattered hamlets, farmhouses and cottages. 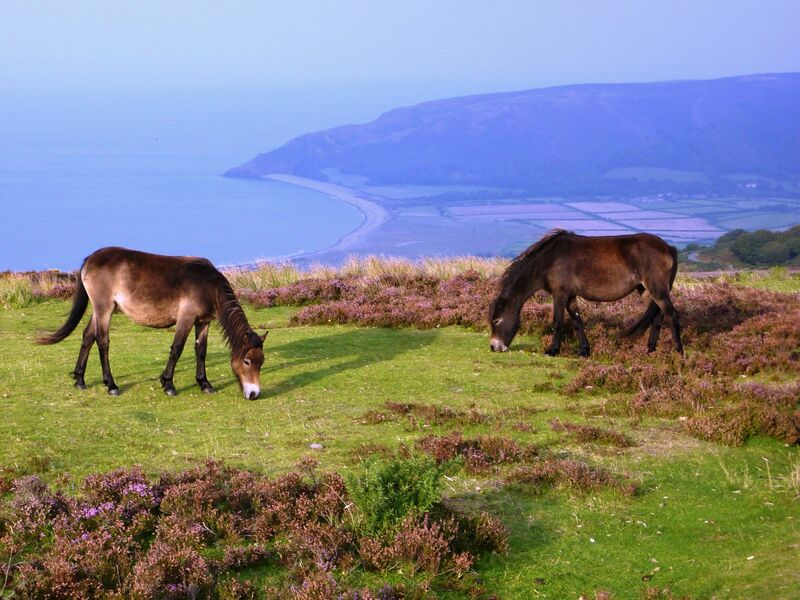 Often described as one of England’s best kept secrets the Exmoor National Park makes an excellent destination for a visit or holiday all year round. It is said that Exmoor is the quietest, least problematic and least spoilt of all the National Parks. There are in excess of 1200 kms/750 miles of way marked “Right Of Way”, perfect for walkers to explore. Dunkery Beacon, the highest point on Exmoor, is 520m/1075ft above sea level. A little known fact! It reaches a height of 314 metres (1350ft) at Culbone Hill. However, here the crest of the coastal ridge of hills is more than a mile from the sea. If a cliff is defined as having a slope greater than 60 degrees, the highest cliff on mainland Britain is on Great Hangman near Combe Martin. The coastal hill is 318 metres (1043 ft) high with a cliff face of 250 metres (800ft). The coastal hill is 318m (1043 ft) high, with a cliff face of 250m (800ft). If you were to walk the entire length of the coastal path’s 630 miles from Minehead to Poole Harbour you would climb a total of 115,000ft – that’s four times the height of Everest! Exmoor has species of plants that are found nowhere else. These include at least two species of whitebeam tree: Sorbus subcuneata and Sorbus ‘Taxon D’. Taxon D is named after the area around Desolate where it is found. Other whitebeams endemic (belonging to and found nowhere else) to the West Country have subspecies endemic to Exmoor. They are Sorbus devoniensis, Sorbus vexans and Sorbus porrigentiformis. Also found on Exmoor are Sorbus anglica and Sorbus rupicola, which are more widely distributed but nationally rare. A lichen, Opegrapha fumosa, is also thought to be endemic. Exmoor is the only national location for the lichens Biatoridium delitescens, Rinodina fimbriata and Rinodina flavosoralifera, the latter having been found only on one individual tree. The South West Coast Path, which starts along the Exmoor coast in Minehead, is the longest National Trail in England and Wales. The route includes a number of options and changes are being made continually but at present the distance from start at Minehead to finish at Poole is about 613 miles. It takes roughly 40 days to walk the entire route. The Exmoor section was opened in 1978 and includes the highest and remotest parts of the path. It takes two or three days on average days to walk the Exmoor section and includes ascents totalling more than the height of Ben Nevis. The path passes right by England’s smallest parish church, Culbone Church, which is so remote you have to walk the last 1.5 miles to the church if you arrive by car. It only seats 30 people and services are still regularly held here. Exmoor is the national stronghold of the heath fritillary butterfly, one of the rarest of the butterflies breeding in Britain. They were once called ‘woodman’s followers’ because they appeared in coppiced woodland soon after the trees were cut. There is little coppicing nowadays but Exmoor has many areas where there is a ‘soft’ edge to woodland, particularly where the woodland gradually changes to heathland, where there are scattered trees and shrubs similar to coppice conditions. The butterflies move to other areas as conditions change, making their conservation difficult. Most of Exmoor’s rocks were in the southern hemisphere when they were formed, about 350 million years ago. Continental drift has caused them to gradually move thousands of miles to the north since then. In another 100 million years Exmoor will be north of the Arctic Circle. Parts of the surface of Exmoor are amongst the oldest landscapes in the world. 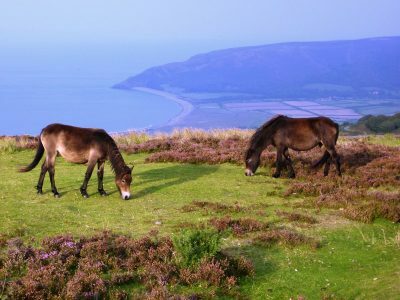 The surface of the Chains and the Vale of Porlock are thought to be at least 200 million years old – older than most continents and far older than most of the world’s great mountain ranges. Beech trees grow at greater altitudes on Exmoor than anywhere else in Britain. The country’s highest beech wood is at Birch Cleave at Simonsbath, with trees growing up to 350 metres (1200 ft) above sea level. In hedgebanks they grow up to 490 metres (1500ft) above sea level. It seems to have been on the edge of Exmoor in prehistoric times and continuously since the Romans arrived but was mostly introduced in the 19th century. This tree seems particularly suited to the relatively mild climate of upland Exmoor. 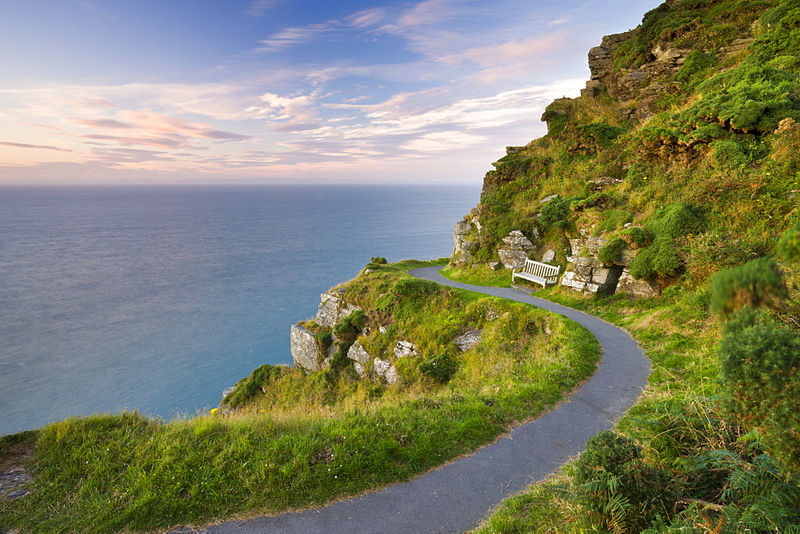 The coastline within the national park stretches for 37 miles and is one of the most unspoilt and best protected coastlines in England and Wales – the steepness of its cliffs means there’s little access to much of the shoreline, making it extremely remote. 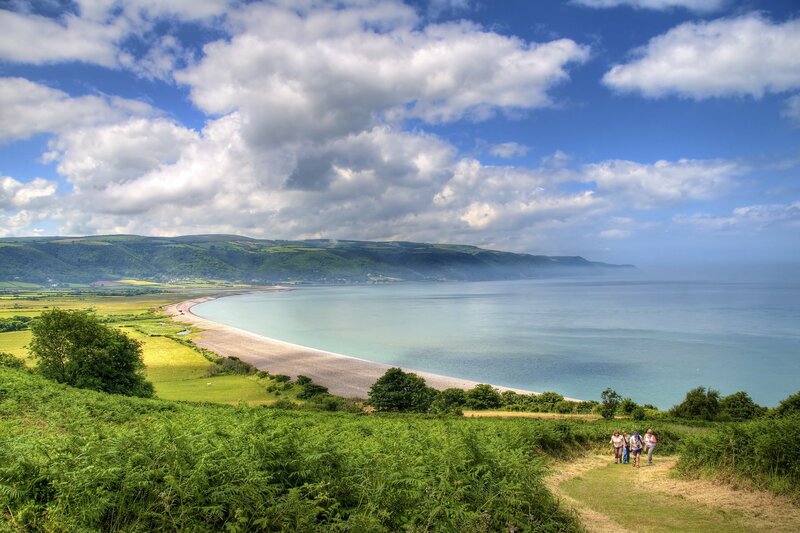 The sheltered length of coastline between Foreland and Porlock has allowed woodland to develop along this part of the coast; in many places, the woodland goes right down to the shore. The ancient oak trees here have a gnarled, twisted appearance due to the steep, unstable cliffs they have had to grow on. 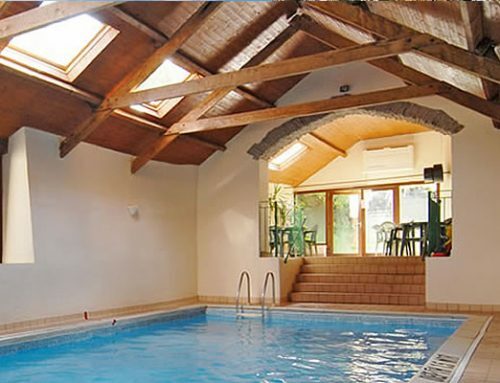 If you would like to see for yourself what Exmoor has to offer and wish to stay in a central location, please don’t hesitate to contact us to discuss availability.